In the hands of an avid reader, Nephilim Apocalypse Vol. I is a book which exposes the connection between several critical arrangements in the financial, political and religious structures of the world from the point of an observer who has done his research drawing upon his theological knowledge of foreshadowing, prefiguring and prophecy. However, in the hands of a seasoned historian, this book provides more hidden signs and patterns which unearth deeper machinations and conspiracies that form the very foundations of the world we live in today. In the first of this explosive two-volume series Nephilim Apocalypse from Dr. Joseph Opare you will learn how humanity is being ushered into a New World Order. 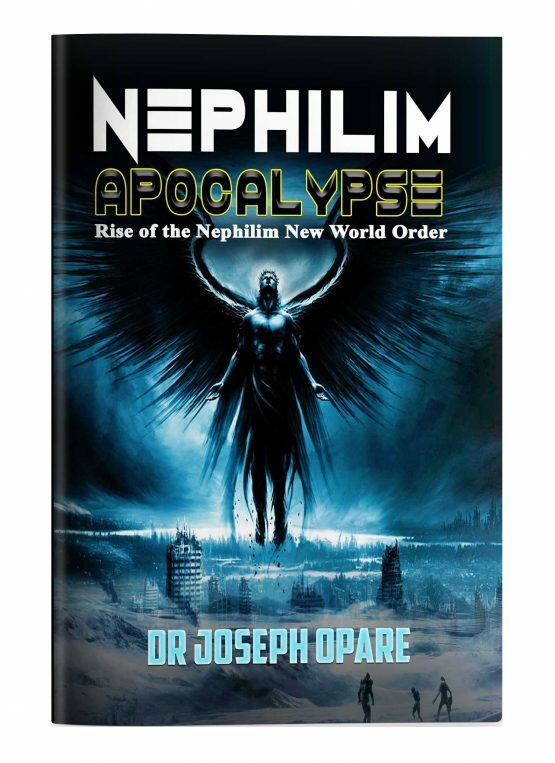 Are the Nephilim involved in steering humanity towards an Apocalypse? What events triggered the worldwide flood in the days of Noah, what do the Nephilim have to do with this and are these things happening again? Ever wondered what happened to the fallen angels mentioned in the bible, their giant offspring who ruled the earth, and what has become of their bloodlines ever since? Do you think they still play a role in world governance? Do you think some of the fallen angel’s offspring might still be alive and have survived through the ages? 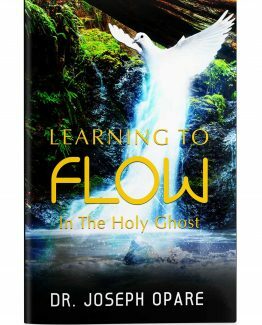 Drawing upon his powers of foreshadowing, prefiguring and prophecy Dr. Joseph Opare uncovered the connections between major historical events and our present-day reality. This book was formerly titled "The New Age Of Atlantis" because it connects the lost continent with the Nephilim. The evil powers who walk the earth amongst us and how to protect yourself from them. Not only that, you’ll hear about the hidden connections between Atlantis, Babylon, The Nazi’s and English Occult Grandmasters like Sir. John Dee. Follow Dr. Joseph Opare on an exploration of Matthew 24 and ancient world history which uncovers a plot by evil forces to resurrect a technological world under the banner of a “Novus Ordo Seclorum,” the Latin words for New Age Order or New World Order. Don't live without this prophetic knowledge. This insight will help prepare you for things to come. A New World Order is rising; the question is: on which side will you be? I will open this review by placing in your mind a question, is this book about ‘conspiracy theory’, or conspiracy ‘fact’? This book, ‘The New Age of Atlantis’, quickly ushers you into what could only be said to be discussions derived straight out of recent iconic TV series such as, ‘Star Gate’, like the action movie series ‘Star Trek’. The book makes you feel you are really commencing a voyage to go where no man has gone before. This is compounded by the actual title of the book, that gives you a sense that you are about to embark upon a science fiction novel. The title and front-cover image, I feel, disadvantaged the book, and give credence to that common phrase, ‘you can’t judge a book by its cover’. It would be true to say that this book should ‘definitely not be judge by its cover’. Admittedly, it laid a good introduction that built an adequate initial platform to springboard various mythological, biblical, and historical points of view, leaving you to want more! I found myself so engrossed that before realising it, I have read sixteen pages before surfacing from the text, pinched by the fact that I had planned to be doing something else before I pick this book up. This was a good premonition for reviewers such as myself. This book will challenge you, and if you are one of those people, willing to discuss points of view that you may usually dismiss as fanciful or mere myth, arguments presented by this book will be worthy of note. Its pre-occupation with all evidences, even unpopular ones, makes is potentially engaging for all persuasions. This book does not allow you, however, to stay on the fence; if you read it you are compelled to get involved with it. Be warned, you may not finish this book because is has the ability to force an impasse that you may not be able to step beyond. It may be more comfortable to press the ejector seat of your own opinion, enabling your own opinion to go unchallenged; or you may have to simply submit to ideological defeat; or leave this book, preferring to stay committed to ‘wilful blindness’. Whatever it is, this book will cause you to intellectually think about what you use to know as fact, especially in the light of money, mythology, knowledge, science and Bible perspectives, and how they interact to form truth, to be given a new coat of examination and clarity, brushing away the cob-webs of personal status-quos and compels you to examine what you know to be truth and redefine what you though to be in-exactitudes of the truth. A well worthy read, if you are looking for engaging, powerful and insightful engagement that from start to finish allows stimulating stroking of the mind. Conspiracy theory or conspiracy fact? I will leave that up to you.